Fly Corporate has restored nonstop air links to Brisbane and Melbourne for residents in Wollongong and broader Illawarra region on the NSW south coast that were lost when Jetgo collapsed earlier in 2018. 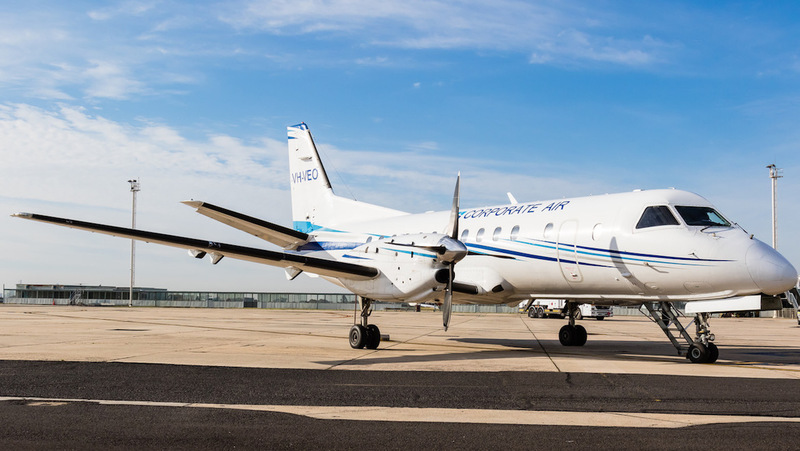 The regional carrier commenced flying from Illawarra Regional Airport, also known as Albion Park, to Melbourne Essendon and Brisbane with Saab 340s on Sunday. 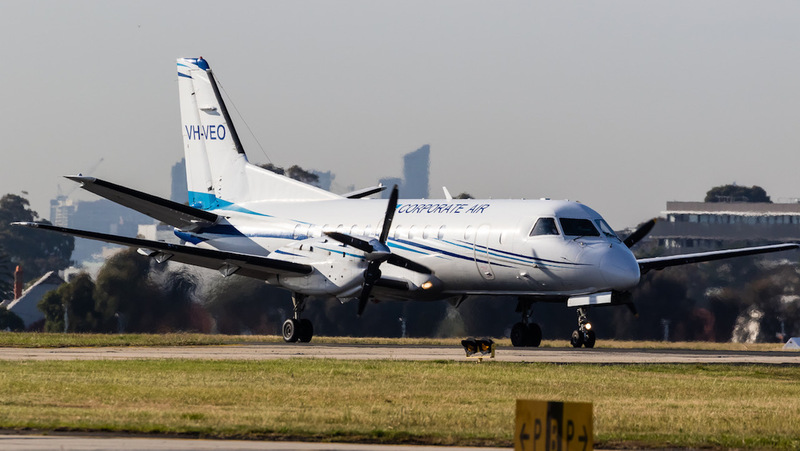 Photographer Dave Soderstrom captured the arrival of Saab 340B VH-VEO at Melbourne Essendon as the FC225 a little after 1540. 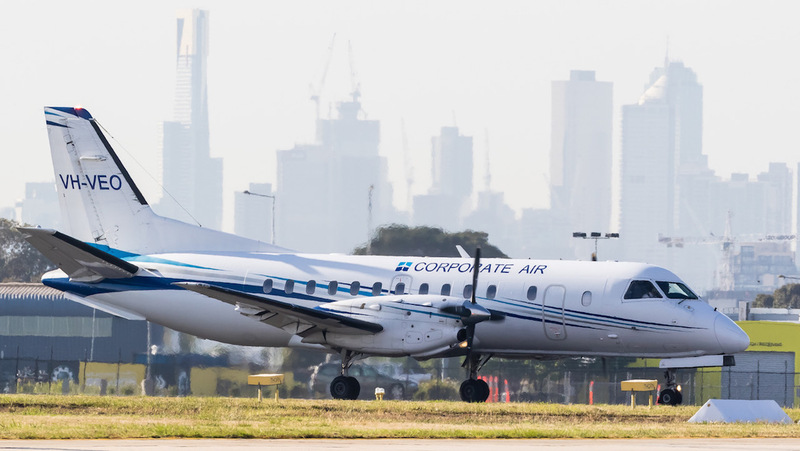 Fly Corporate has scheduled nine flights a week between Albion Park and Melbourne Essendon, with two flights a day on Monday, Wednesday and Friday alongside one flight a day on Tuesday, Thursday and Sunday. It already offers nonstop flights from Melbourne Essendon to Dubbo and Orange. 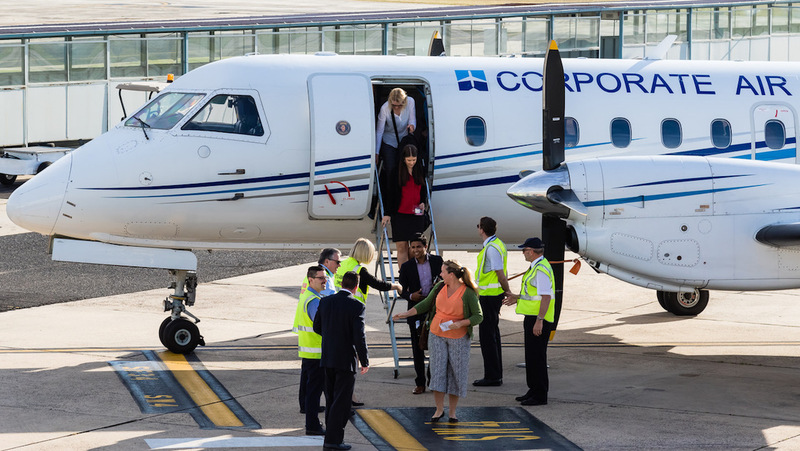 Melbourne Essendon Airport, also known as Essendon Fields Airport, has been seeking to build up its regular public transport (RPT) offering to regional destinations. The other airline offering RPT flights out of the close-in Melbourne airport is Sharp Airlines, which has four routes to Tasmania and regional Victoria. 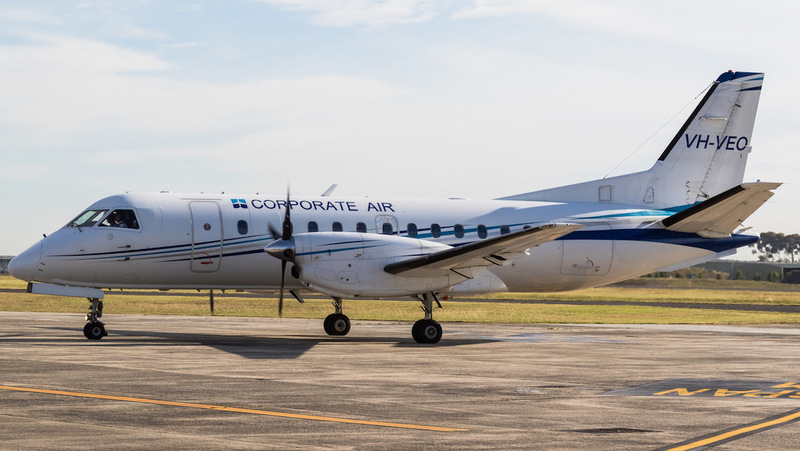 Fly Corporate has scheduled four services a week on the Albion Park-Brisbane route. Flights depart Albion Park on Mondays, Thursdays and twice on Fridays and depart Brisbane on Mondays, Wednesdays, Fridays and Sundays. Essendon is surely going to grow as an RPT port. Tullamarine, like Mascot is such a congested mess. @David tend to agree with you. Building a new runway for Tullamarine is one thing, but bigger terminals are needed. Planes have nowhere to park on a morning when it’s the morning rush. With passenger numbers increasing year on year into Melbourne, we need a bigger international terminal first and foremost. It’s not slot constrained yet, it’s just too small for the future needs. Which is why it’s a bit funny seeing Air Asia head to Avalon instead. Hopefully Essendon can take some regional passengers away. Hope the major two codeshare. Tullamarine building a second crosswind runway and ultimately having four runways to achieve the same annual passengers and movements as airports like London Heathrow and Hong Kong who have two runways, means excessive costs. Hence Air Asia moving to Avalon and small regional carriers wanting to use Essendon. With the new terminal opening at Avalon other low cost carriers will follow Air ASIA which will have a snowball effect because as more carriers use Avalon the existing infrastructure costs can be shared.